Service delivery related protests have flared up across South Africa ahead of national elections in May. All roads are now open in JHB - Soweto. While rubber bullets and rocks flew during service delivery protests in the streets of Pennyville, Soweto, a memorandum, calling for title deeds to the Pennyville flats within a period of seven days, was handed over to Premier David Makhura's office in Johannesburg on Friday. 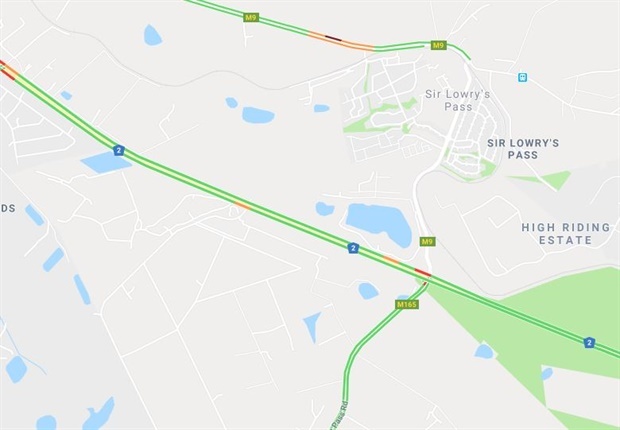 Sir Lowry's Pass is open for traffic except the N2 outgoing is closed between De Beers and Victoria Road in Somerset West. N2 Somerset West open in both directions. Eersteriver Forest Drive closed between Bobs Way and Marigold Road. Claims that a man was killed during service delivery protests in Rus-Ter-Vaal outside Vereeniging appeared to be false, police said on Friday morning. 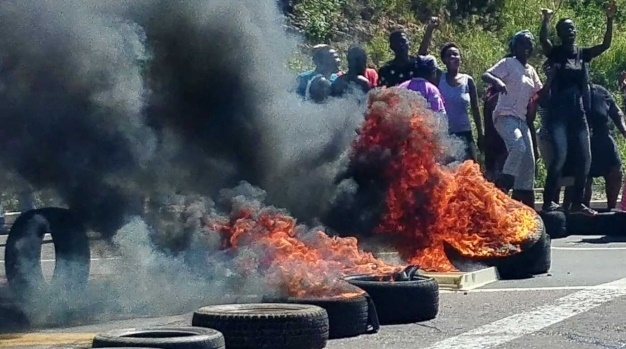 Protest action broke out in Eerste River on Friday at the site of the billion-rand Forest Village housing project as attempts are being made to invade the newly built homes which have not yet been inhabited. 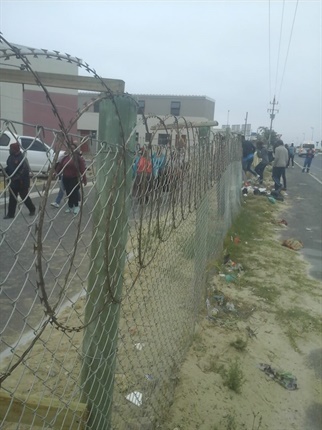 Ward councillor Jerome Fitz told News24 people had been bussed into the area from as far as Fisantekraal – almost 40km away - to try and illegally occupy the vacant homes. Over 5 000 housing opportunities for people from the N2 Phase 1 Housing Projects as well as beneficiaries from the surrounding communities would benefit. In March, the Provincial Department of Human Settlements said it had handed over 1 200 homes since last year. The entire development was to be completed by 2020. Fitz said the attempted occupation was unfair to those who had been patiently waiting for a long time to occupy in to their allocated homes. Occupation certificates still needed to be issued and final checks were to be done before the next batch of beneficiaries were given the go-ahead to move in, he explained. Police as well as law enforcement were on site as hundreds of people protested in the streets, Fitz told News24. 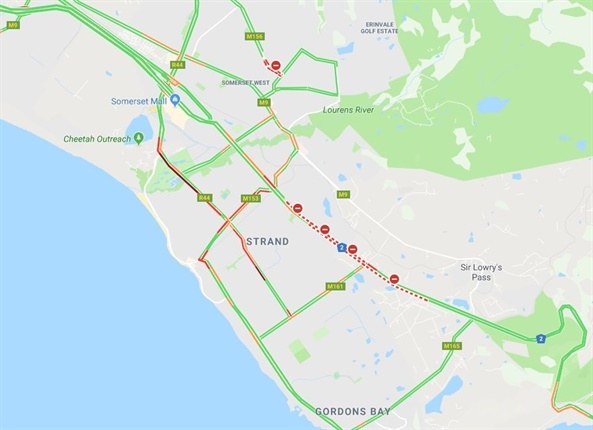 City of Cape Town traffic services spokesperson Richard Coleman confirmed that Forest Drive had been closed in both directions between Bobs Way and Marigold Street. 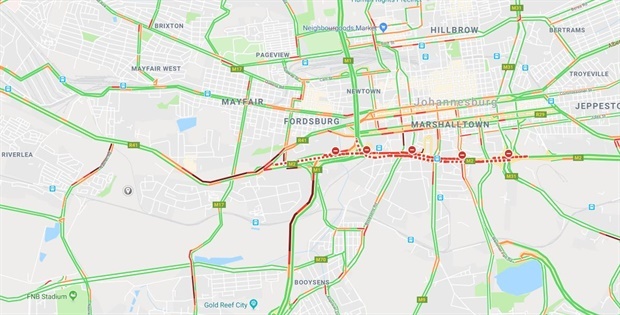 Steve Mabona, spokesperson for Gauteng education MEC Panyaza Lesufi said schools are closed where ever there is a protest. Winde said yesterday, the EMS were challenged in transferring patients from primary health care facilities to hospital, while the Khayelitsha Hospital had to function on skeleton staff. "I commend the staff of our public facilities, who, despite all the difficulties, kept services going at the hospital." Western Cape Safety MEC Alan Winde condemned the protests, and said the provincial department of health reports that the Nomzamo Community Day Centre in Strand is still closed as staff are unable to get to work. This means that the 375 patients that frequent this facility daily are not able to receive necessary services. [SUMMARY] #LwandleProtest The ward councillor in the area has called for calm. Western Cape education MEC Debbie Schäfer said on Thursday the department had to close 21 schools in the Lwandle, Nomzamo and Khayelitsha areas. The Happy Valley area has also been affected, and a further eight schools were either being monitored for closure or were disrupted significantly. Today there are more reports of disruption. At many other schools, there was low attendance. Free State police spokesperson Captain Stephen Thakeng said on Thursday night three trucks were burnt in Steynsrus. One of the trucks was being used load frozen chickens. The frozen chickens were looted. The driver suffered minor injuries. 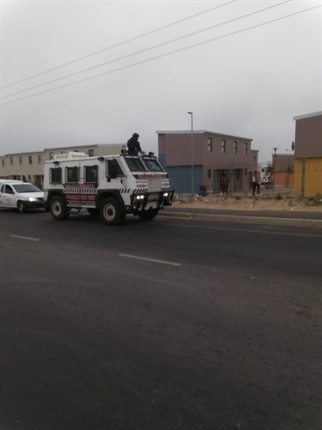 Western Cape police spokesperson Noloyiso Rwexana told News24 the protest is ongoing at the Lwandle area, several businesses were looted overnight and a total of 31 people were arrested since Thursday (2019-04-11). Police and other Law Enforcement Agencies are on the ground and will remain there until law and order is restored. A group of about 600 are standing outside the mall in Philippi. Police are monitoring the situation with no arrests so far. #LwandleProtest One community member says they are tired of renting out houses now, they want their own. 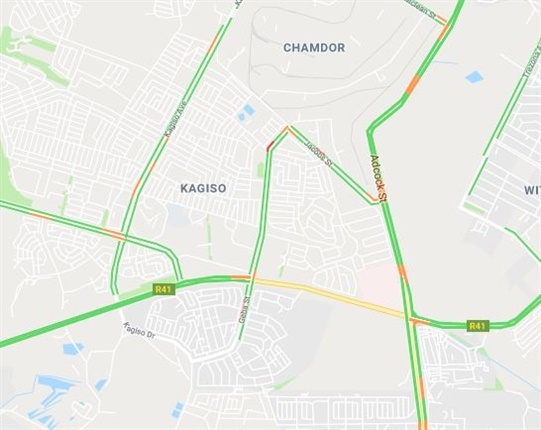 Police on the scene in Rus-ter-vaal say reports about a person being shot dead was a false alarm after they told by residents that protesters had killed a man.